Bang & Olufsen (B&O) is a name well known to audiophiles and design lovers the world over. In spite of having been around since the mid-1920s, B&O is still cutting edge. Want a TV that automatically senses the amount of ambient light and adjusts the screen accordingly? Wish you could hit a button on your phone to turn down the sound on the television or stereo when a call comes in? How about loudspeakers that calibrate their sound output to the room they are placed in, so regardless of whether the space has high ceilings or is filled with plush furniture, the sound is the same? B&O is the only company that offers elegantly minimalistic products which has those capabilities. Like Apple Computers, B&O’s award-winning products continually push for radically cleaner lines and more intuitive user interfaces. In the mid-80’s, B&O introduced the innovative (and what is now their signature) UI element, the automatic sliding front panel. The panel was controlled by a proximity sensor. When a user came close enough, the system awoke from “sleep mode,” buttons lit up, and the front panel would silently slid open. 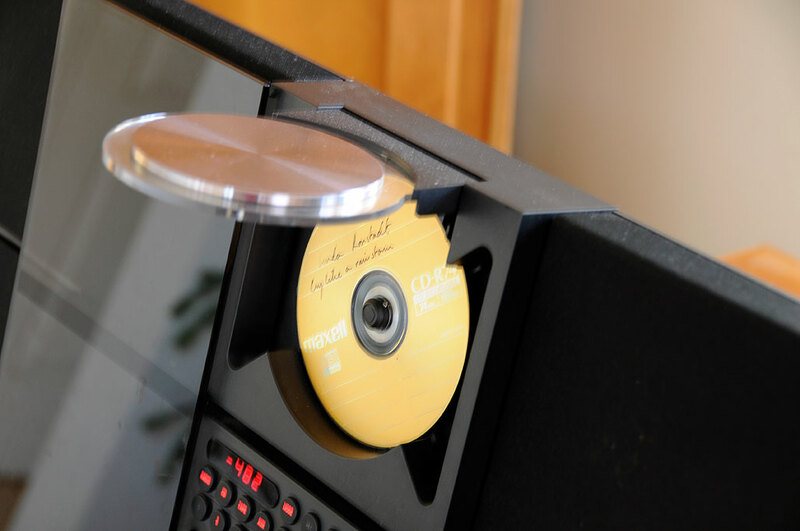 B&O continued with that UI element when they released BeoCenter 2300 in 1991 and the BeoSound Century in 1993, except that the panel was made of glass. The use of glass enabled the design of the controls, CD player, and cassette mechanism to contribute to the visual estheticsof the unit. We acquired a BeoSound Century (orig price: $1900) last Sunday via Craigslist for the cost of a good brunch. The seller was on Marlboro Street in the Back Bay, which was just a skip from the office. The owner said there was a problem with the sliding front panel, and basically wanted it gone. So we popped by before the Super Bowl and picked it up. The unit was in mint condition. It even came with the AM/FM attenna and the AUX interface cable. We didn’t even bother to test it. When we got it back to the office and plugged it in, everything worked…even the sliding glass door! The reason we were scanning Craigslist was because we came upon a stash of cassettes we had made back in the early 70s, and had been without a cassette deck ever since our Onkyo unit from 1979 bit the dust almost a decade ago. We wanted to see if the tapes were still any good. The B&O unit was an inexpensive yet fancy-pants way to check out their quality. To our amazement, the tapes held up well and the sound was surprisingly good. 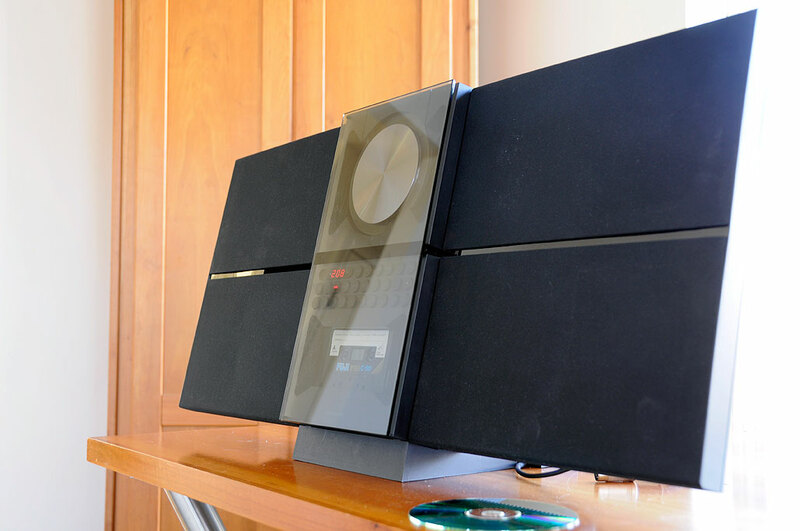 After playing with the unit for a few days, we find ourselves more and more impressed with the BeoSound Century, both with the quality of the unit and the longevity of its design. As time goes by, we think the older Bang & Olufsen equipment will continue to be quite desirable, even if some of the technology (vinyl, cassette, CD) is no longer state-of-the-art. We are going to keep our eye out for more B&O gear on Craigslist from now on.